A beautiful wooden baby toy in the shape of the sun. The sun rays are held on with elasticated string so your baby can pull and squeeze them, there's also a bell on the back so they'll love shaking it about too. 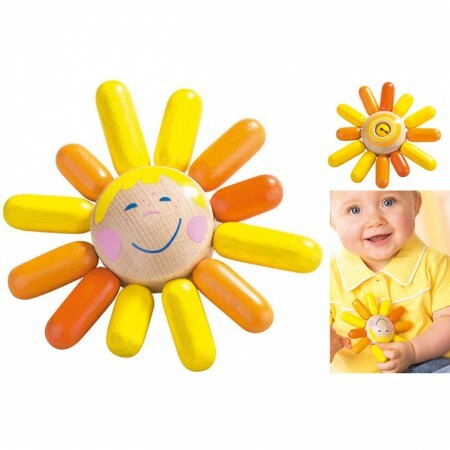 Beechwood painted with natural no toxic paints, great for babies to chew and play with.